When you put another blue item next to it, then it is easier to see that the color is actually greenish. This is the color that we are calling Aqua Green. When you scan it, the bright light makes it look even more green, but very pale. Beta has many different colors. The other sets do not have many different colors. Yes Tavis and I have been working on this & comparing notes too. It's coming along well considering very little is out there & public knowledge. 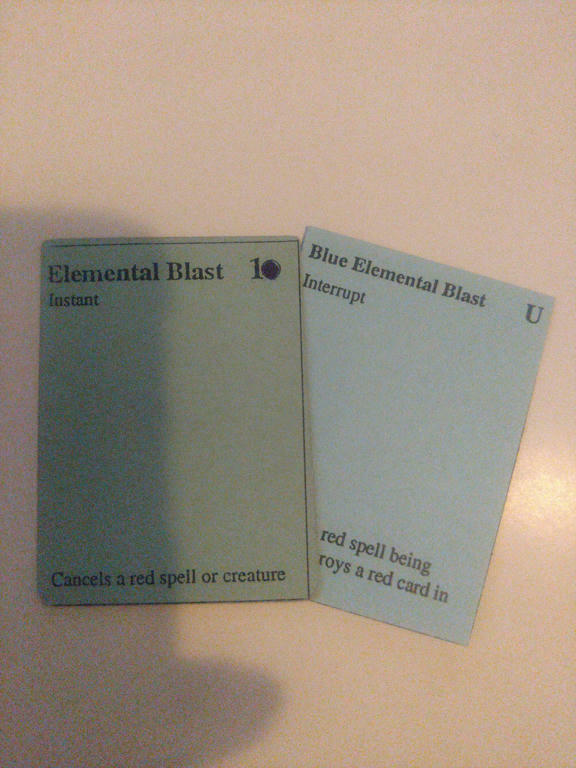 I found another playtester recently, and hope to have some new (to us) playtest card types soon. So wish me luck!